FIND AND COMPARE THE BEST HOTEL DEALS FROM BOOKING.COM, HOTELS.COM, AGODA, EXPEDIA AND 80 ONLINE BOOKING AGENCIES MORE WITH JUST ONE SEARCH! Hotellook app — is the simplest way to compare hotels and prices across 80 leading hotel booking systems. Whether you are planning your future vacation or you’re stuck in the unfamiliar city — just press "Hotels near me" button and Hotellook will find you the best cheap hotel! Book hotel rooms in 2 taps! The best hotel deals from 760,000 hotels in 205 countries at your fingertips! With just one search we look through 80 hotel booking systems for the cheap hotels. Choose the ideal hotel, motel, hostel, apartment or any other accommodation and enjoy your stay. Book hotel room with just couple clicks! You will pay exactly the same price as you see on the screen. No hidden taxes or any unexpected fees will be added to your payment. Would you like to stay only in 4* luxury hotels with suites in the city center with pets allowed, free wi-fi and parking or you prefer budget and inexpensive hotels? No problems! Hotellook filter system will help you to find hotels that best meet your needs, find and book family hotels, business or romantic deals! Ratings, based on real guests reviews for cheap hotels will help you to make a decision! • Interactive map: Choose the best and cheapest hotels directly from the city map. • Additional hotel information: Get all necessary information about chosen hotel — inspiring photos, detailed description, room services, features and even panoramic Street View of the hotel. • Prices overview: Choose your favorite booking system and finalize your hotel reservations there. • Sorting options: Sort results by price, popularity, rating or proximity to the city center. 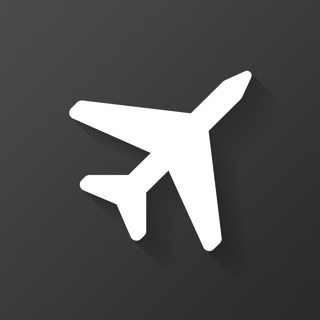 • Favorites: Save found very cheap hotels to your personal list and get back to them later. • Hotels near me: One button and you will get all cheap hotels nearby and hotel rooms near me. • Hotel discounts: Find hotels and get cheap hotel rooms and cheap last minute hotel deals with Hotellook special offers and catch one-day discount hotels! Or maybe you will be lucky and get hotel discount codes or discounts and coupons on cheap hotels! *NOTE: Hotellook app is a search engine that will find you the best and cheapest hotel rates across all global hotel reservation systems and provide information in a simple and beautiful form for all accommodation deals and last minute hotel rooms. We do everything to provide you the best hotel comparison service! App allows you to compare hotel prices for very cheap hotels, hotel suites, cheap motels, apartments, hostels and hotel packages in 80 booking systems and discount hotel websites, so that you can select the best hotels and last minute hotel deal and book cheap hotels. You will be redirected to the selected booking service website to book hotel rooms. If you enjoy using Hotellook hotel search & finder and booking a hotel accommodation was easy, please take a moment to leave us a nice review. We’d love to hear more about your hotel search experience! In a case of any issues, please contact us at ios@hotellook.com, we will get back to you shortly. The cheapest and most beautiful last minute hotel deals, motels, apartments or any other accommodation are just a click away, download the hotel booking app offers right now! All motels and hotels cheap deals in one app! We're continually working to bring you the best hotel deals possible. This update includes performance enhancements, minor improvements and more special offers and discounts. Thank you for your review. We are glad that you liked our app! Amazing! Hope you like it! Due to no state name with city name. No way to differentiate between same-name cities. Could you please give for us any example? We'll check it.